Whilst camera-specific guides provide the how-to, manual style information on how to use your particular model of camera, this manufacturer-specific guide provides you with all the information you need as a Nikon DSLR photographer to optimise your workflow and capture great images. Jim White and Tony Sweet show you how to increase the quality of your photos, save time and work smarter, starting with the most pressing questions: Which camera should you use? Which lens is best? Which accessories are must-haves? How can you get the most out of Nikon's Capture NX Software? In-depth, specific features of the newest Nikon DSLRs are also covered, helping you to make your camera really work for you. 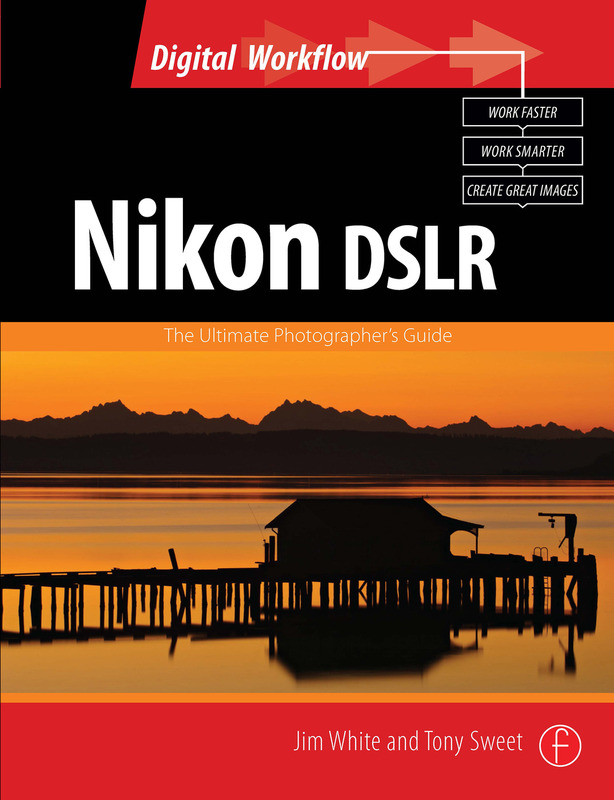 Complete with practical advice, key workflow solutions and detailed images that display multiple camera functions, this book is a must have for every Nikon photographer. Part of Focal's Digital Workflow series, this is the Nikon version of the popular Canon DSLR: The Ultimate Photographer's Guide.